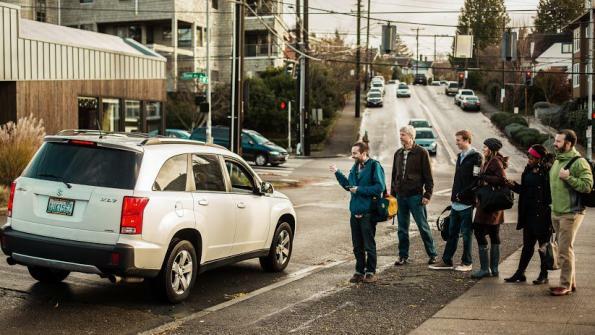 Seattle has become the first city to unionize drivers of app-based transportation networks, but the legislation has met mixed reviews. Seattle has become the first city to unionize drivers of app-based transportation networks, drawing criticism from Uber and Lyft that collective bargaining could decrease the flexibility and affordability of the driving services. City council members unanimously voted 9-0 last month to pass legislation that will offer taxi, for-hire and transportation network companies (TNC), e.g. Uber and Lyft, the opportunity to join a driver representation organization, a union that will allow the drivers to negotiate pay rates and employment conditions, according to a Seattle City Council report. The app-based chauffeurs are independent contractors, so, therefore, were not covered by the National Labor Relations act, which provides collective bargaining between employers and unions representing employees. "We've heard from Seattle drivers making sub-minimum wage, and companies like Uber have turned a deaf ear to their concerns. This bill was only introduced out of necessity after witnessing how little power drivers themselves had in working for a living wage," Mike O'Brien, Seattle city councilmember, said in a written statement. "This is groundbreaking legislation, and I am proud Seattle is continuing to lead the nation in advancing labor standards for our workers." In addition to setting the framework for TNC contractors to join a driver’s union, the legislation also sets penalties for failure to comply with the framework on the driving companies. App-Based Drivers Association (ABDA), a Seattle organization of on-demand contract workers, along with local Teamsters unions had lobbied for the legislation, according to the New York Times. The groundbreaking new legislation adds to the ongoing battle between app-based drivers across the country and the app-based driving giants they work for. As is in the case of California Uber drivers that have waged a class-action lawsuit against Uber, challenging the company to consider them full-time employees rather than contractors, according to the newspaper. Uber has resisted that change due to the mission of provide flexibility to its drivers. Before Seattle officially passed its union legislation, a Lyft spokesman criticized the Seattle ordinance, citing its threat to drivers' privacy, burden of increased costs on passengers and conflict with federal law. “We urge the mayor and full council to reconsider this legislation and listen to the voices of their constituents who choose to drive with Lyft, because of the flexible economic opportunity it offers,” according to the statement. Though Seattle Mayor Ed Murray told the newspaper he supports the rights of workers organizing, he has not signed the bill due to concerns of administrative costs not yet outlined in the law. Even without Murray's signature, the ordinance will still become law.